Legacy Soda Bottle Caps 50-PAK - The Fizz Giz soda maker lets you make your own soda! 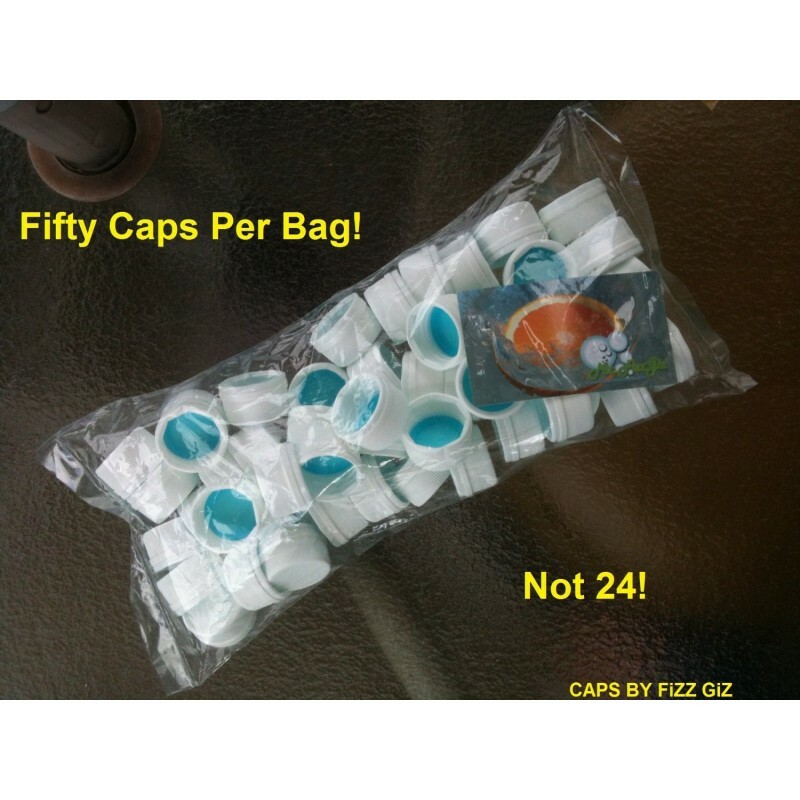 FiZZ GiZ brand 28mm plastic screw caps for PET bottles (bag of 50, UPC:661799440226) are perfect for FiZZ GiZ kit owners who make their own home-made sodas. 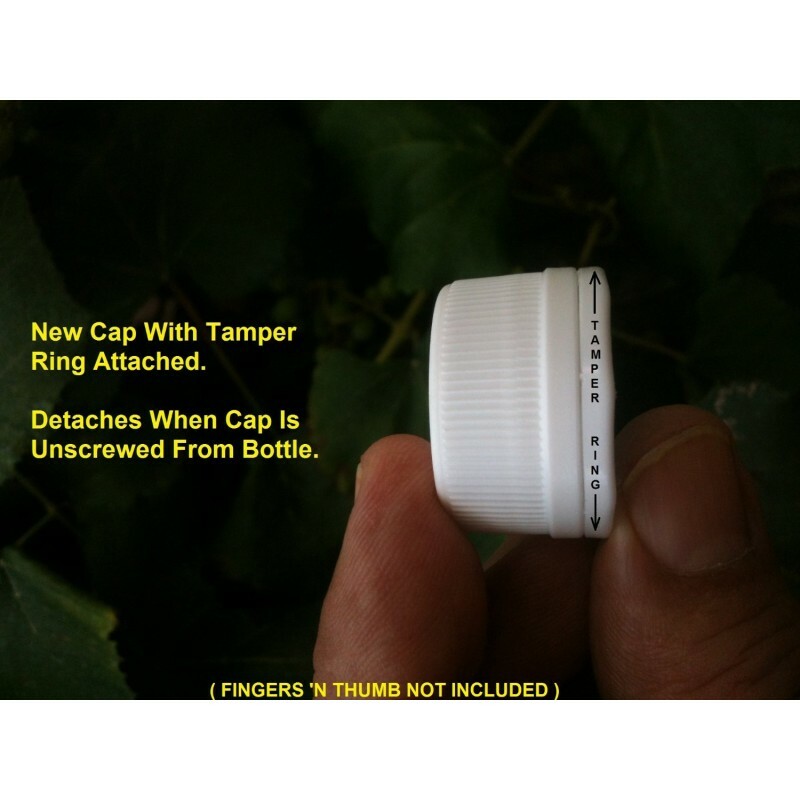 These caps give your beverages a professional look by using the same tamper-evident cap used by the big bottlers around the world. They make great sneaky alcohol caps and reseal your bottle perfectly. They fit Mr. Beer and Cooper's brand 1-liter amber PET bottles. These caps are perfect for venues such as amusement parks, concerts, sporting events, cruises and other places you're not allowed to bring liquor or any other beverages in other than "factory sealed bottles". Stop worrying about getting caught. Play by their rules and avoid paying for expensive drinks. These caps are very simple to use. 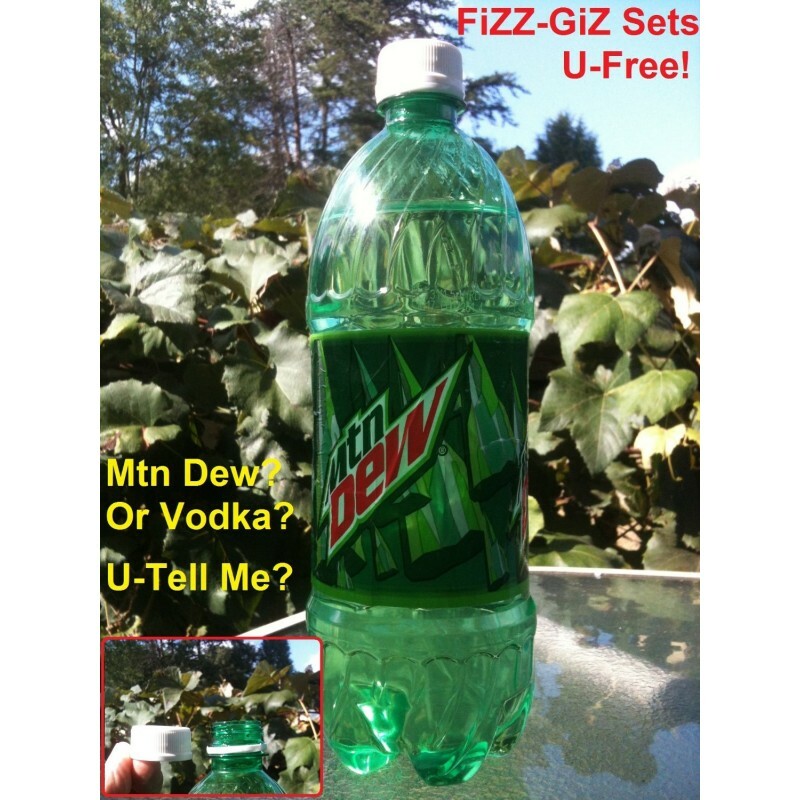 Just remove the factory cap and seal from most any soda bottle, refill with desired beverage and reseal by screwing a new FiZZ GiZ brand plain cap on. They work great as sneaky alcohol caps and are designed to work perfectly with most soda bottles up to 2-liters. They can be used on other bottles with white caps. There are situations where you may want to carry some alcohol into a place that checks visitor's water bottles to force you to purchase all of your adult beverages from them. 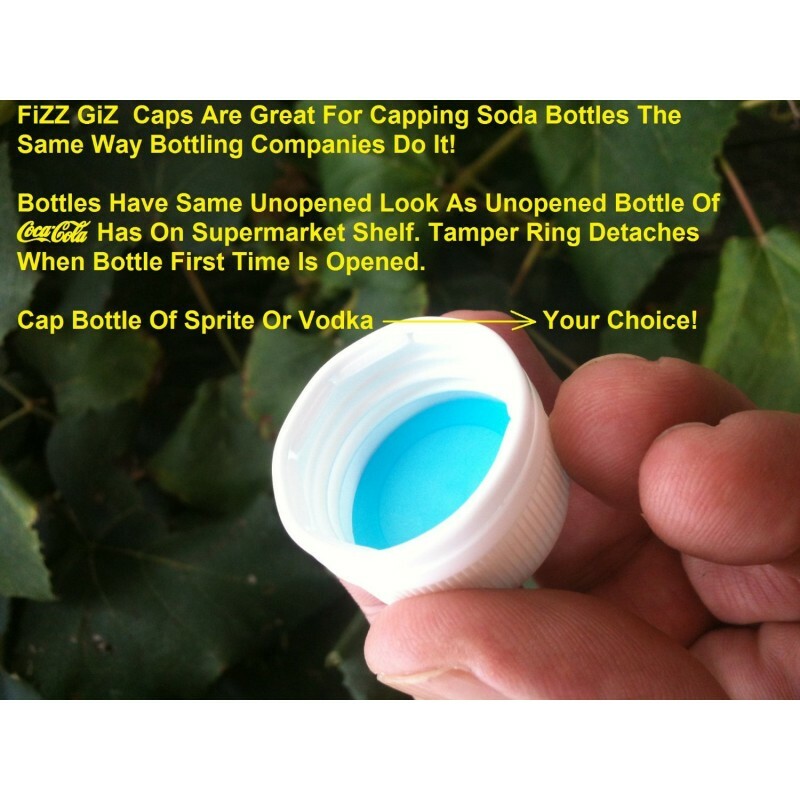 Lowest-Cost 50-Pak Soda Bottle Cap On Amazon Or Anywhere! That's A Trademark Characteristic Of The FiZZ GiZ Brand. We are the Walmart of carbonation products!